Manchester United successfully end their goal and win drought with a 2-0 home victory over West Brom.United's pressure finally paid off after seven minutes into the second half. Martial's cross from the left was headed away only as far as Lingard, who took a touch before placing a side-footed finish into the far corner from 20 yards out.Van Gaal's men enjoyed 76 per cent possession in the opening 35 minutes but found it difficult to break through West Brom’s defensive lines.McAuley was dismissed and United saw out the remaining three minutes in comfortable fashion as they ended a run of three straight draws in domestic competition. 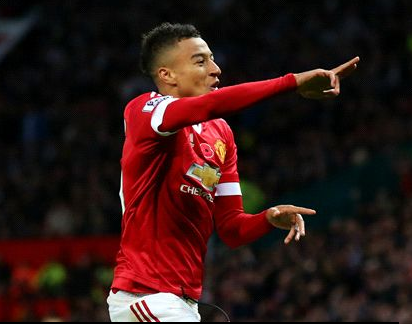 Jesse Lingard scores a sweet goal, also his first ever Manchester United goal, as LVG’s men beat Albion 2-0. Juan Mata with a late penalty for the Red Devils.